All last year I wanted to create a blog to capture my events, race reports, adventures with my most amazing wife, ect. So as I lie here home sick , I figured it was a good day to start. For most of us Ultra runners the next few weeks and a couple race lotteries will determine our race schedule for next year. As the popularity of the ultra running series increases so does the difficulties to get into them. My goal by the end of the day is to have my ideal race schedule planned out and then the fall back in case I don’t get into a few races. 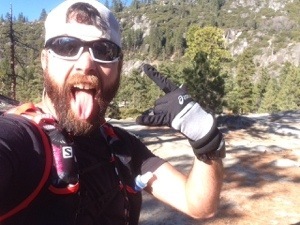 This weekend will determine a few things entry into Western States or not then the planning and sign up of Bryce 100. Luckily the Tahoe 200 lottery is pushed out til Jan so I can figure out my hundred race before contemplating throwing my hat into a four day 200 miler. Feb 01; Fort Ord 35 K with Lindsay (http://www.insidetrail.com/ai1ec_event/fort-ord-trail-run/) already signed up. May 10th; Quicksilver 100K (http://ultrasignup.com/register.aspx?did=26331) Need to Sign up..
Thats the long and the short of it. I am sure there will be more races and more adventures but that covers the chunk of the year. Looking forward to another year of Ultra Racing and being a part of Quicksilver Ultra Racing Team. It’s always exciting putting a year like this together. Hoping it falls into place and I am sure it will be lots of fun.